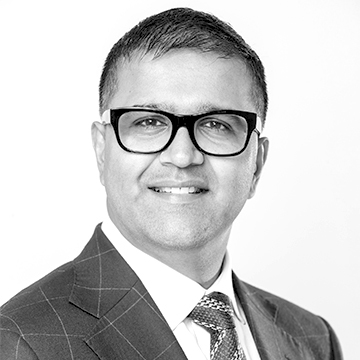 Vikas Pota is Chairman and a member of the Board of Trustees of the Varkey Foundation, a family foundation seeking to improve global teacher capacity and promote universal access to quality education. He has spearheaded the training of over 25,000 teachers and has pioneered an innovative technology platform to reach marginalized girls in Sub-Saharan Africa as well as addressing the refugee crisis using this same platform; has designed a leadership programme for school directors in Argentina; convenes the Global Education & Skills Forum; and organises the Global Teacher Prize, which seeks to celebrate the achievement of classroom teachers and uplift the status of the profession. Vikas is a Visiting Practitioner in Education at Harvard University, a Honorary Lecturer at UCL Institute of Education, a Senior Leaders Fellow at the Centre for Science & Policy at Cambridge University, a Fellow of the Royal Society of Arts, Manufactures and Commerce, and was selected by the World Economic Forum as a Young Global Leader for his work in education. Vikas received a Honorary Doctorate in 2016 and was listed by London’s Evening Standard newspaper as being in the Progress 1000 list of most influential Londoners in 2016.